I haven't heard of hydrogen water generators before, but I'm looking at the H2 USB Sport MAXX with at least a liter's worth of skepticism, wondering if this isn't just snake oil getting its atomic number 1 on. The device is one of many out there designed to infuse drinking water with more hydrogen, the effect of which some say improves energy, mental clarity, mobility, and recovery time. Oh, and it's also an anti-aging solution. 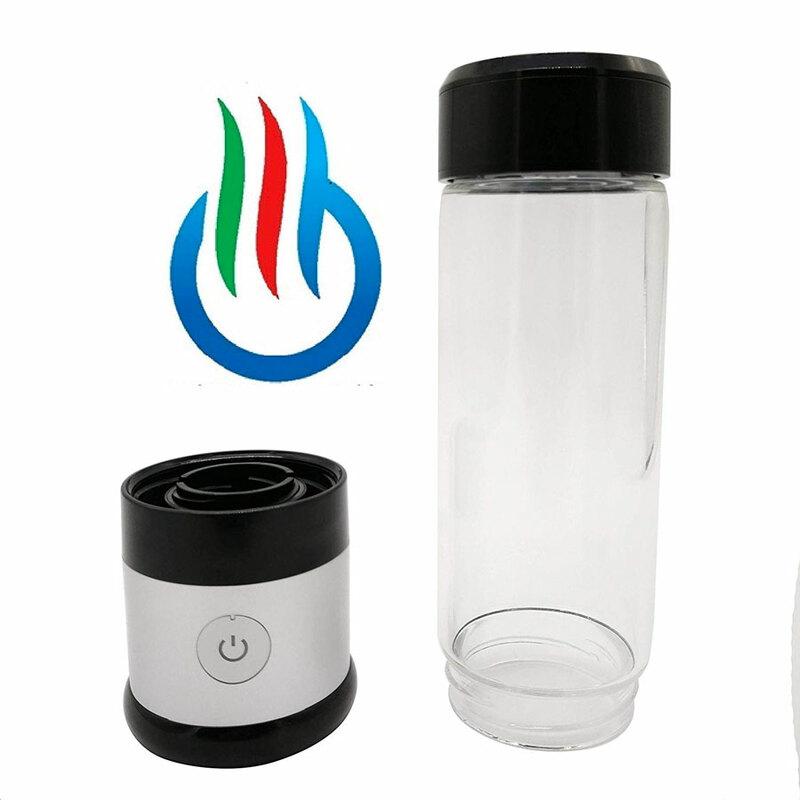 They who stand to profit from the sales of the H2 USB Sport MAXX hydrogen water generator say the element "is the cornerstone to healthy and vitality." That it better hydrates your body's cells, improving their function, reducing the oxydative stress and inflammation caused by our typical diets and lifestyles, and slowing down the aging process through true hydration. 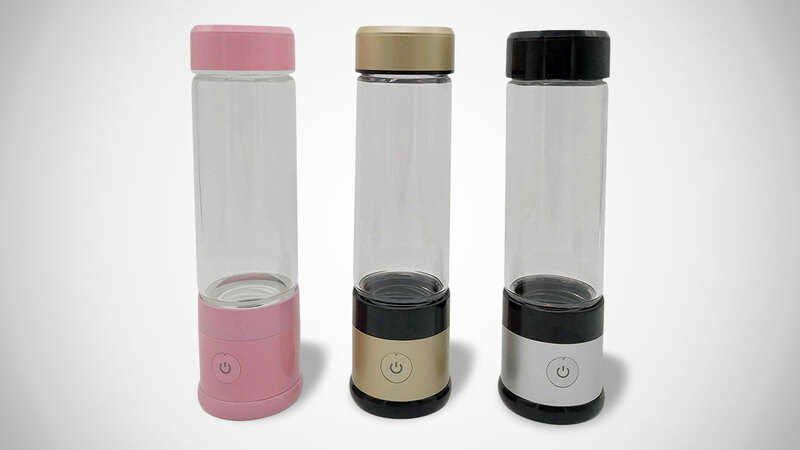 H2 USB Sport MAXX attachment works either as a unit, with the hydrogen-generating and toxin-collecting base attached to an included 14-ounce borosillicate glass bottle, or with the portable base connecting to most standard screw-top water bottles for use at the gym or work. 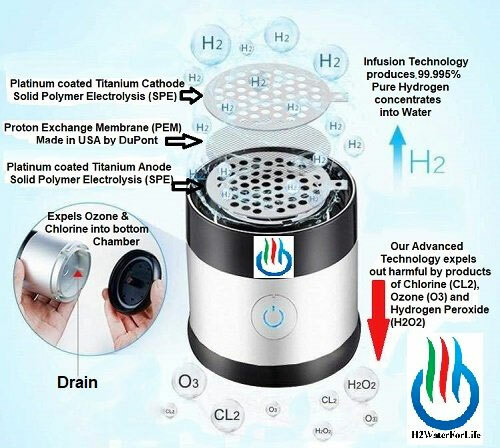 The hydrogen infusion process runs on your choice of a 5- or 7-minute cycle, imparting between 1.0 and 1.5 PPM of hydrogen, and carrying a -350 to -600Mv oxygen reduction potential. The company says the device will also remove ozone, hydrogen peroxide, and chlorine from tap water during the process, expelling it into a bottom waste chamber. Reviews of the H2 USB Sport MAXX hydrogen water generator were very positive, though not abundant at printing. Given how much the little chem lab for your drinking water costs, I wouldn't recommend a one-click buy of it without the additional research I didn't do, but if you're bored at work, or at home suffering through dry January, hey. Maybe you have the time it would take to properly research devices that inject hydrogen into drinking water. Worst case, you'll determine the H2 USB Sport MAXX is a bunch of hogwash, but pick up some good tips on staying hydrated in the process. And best case, you'll discover the fountain of youth and invincibility.